On Wednesday, 24th October, and Thursday, 25th October, only, “NIGHT OF THE LIVING DEAD” returns to nearly 600 movie theatres (USA, Canada, Mexico, UK, Ireland, and Norway) in a newly restored and remastered version presented by Fathom Events, Image Ten Inc. and Living Dead Media, in association with Janus Films and the Criterion Collection. 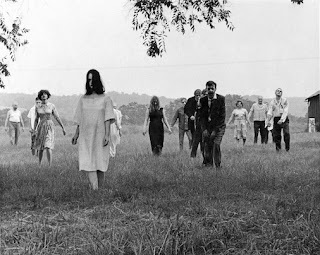 “NIGHT OF THE LIVING DEAD” will play at 7:00 p.m. and 10:00 p.m. (local time) both days, presented through Fathom’s Digital Broadcast Network (DBN). and participating theater box offices. 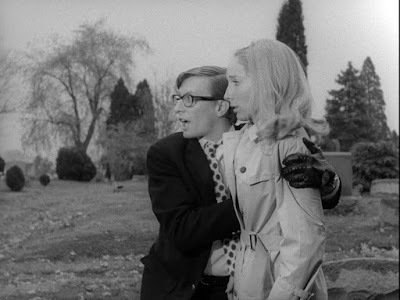 A complete list of theater locations can be found on the Fathom Events website (theaters and participants are subject to change). 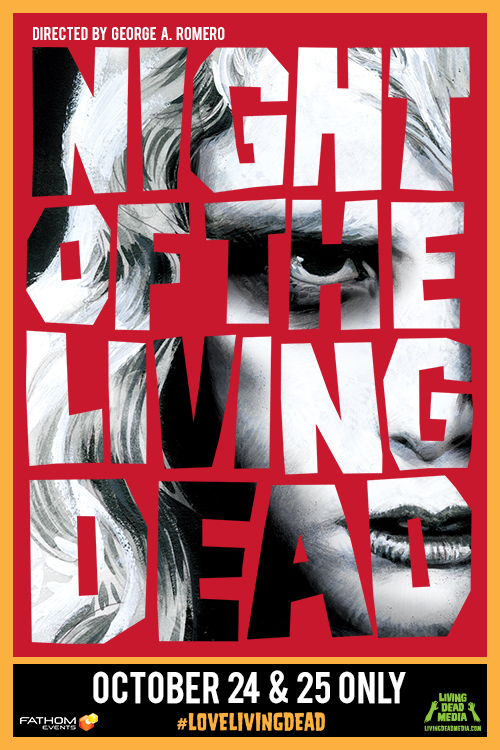 Should you buy any merchandise at NightoftheLivingDead.com or Pledge Music, you will also get a FREE MOVIE TICKET to see the remastered film in the theater of your choice on 24th October or 25th October!